Please send us your requested appointment time or any question you may have. Questions or concerns about your treatment plan? Look below for answers to some common questions. Sometimes trauma, gum disease, cracked or broken teeth and tooth decay can be too significant, and despite our best efforts to save the tooth, extraction may be the only option. No one wants to lose a tooth, but here at Dental Connection, we will make the process as comfortable and as pain-free as possible. Just because extraction may be necessary doesn’t mean you have to live with a missing tooth space. We can provide restorative dental options to replace the extracted tooth. These options include Dental Implants, Permanent bridges, and Removable partial dentures. 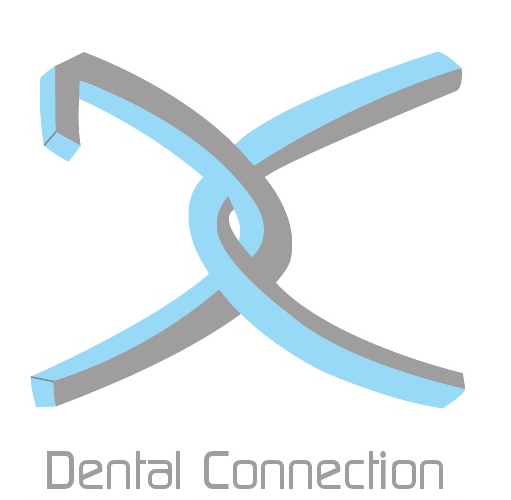 Our team at Dental Connection can discuss with you what treatment may be best and what the benefits of each would be. Dental implants are surgically fitted to provide a secure, sturdy fit while keeping the appearance of a real tooth. If a number of your teeth need replaced, we offer standard dentures in traditional and premium options as well. When a patient has lost all of his or her teeth but wants a better fit and more retention than traditional dentures allow, implant supported dentures can give them that stability. A limited number of implants are placed into the jawbone, and the denture fits snugly over the implants and a connector called an abutment. Single tooth implants are used when one or more of patients teeth are missing. They offer the stability of a natural tooth root, and this is an excellent option for patients who do not wish to have a removable appliance. Standard implants can support crowns (to replace a single tooth) or bridges (missing adjacent teeth). If you have missing teeth and want to discuss dental implant options, please contact Dental Connection at (704) 549-1911 and let us help you regain your smile, not just for cosmetic reasons, but for the sake of your health as well. Healthy gums look pale pink and firm, but they can still look pink even as the disease begins. There are different classes of gum disease, and as you progress to the more serious forms, your damage will become more severe. You are your own first line of defense! It’s important that you know what gum disease looks like in its earliest form so that you can get treatment right away. • Gums that are swollen around your teeth. Affected gums swell and protrude in all directions around the teeth that have plaque and tartar. • Gums that are bright red or bruised-looking. The color is a result of the infection deep within the gums themselves. Healthy gums are light in color, but the deep or bright hue shows irritation. • Receding gums that are pulling away from your teeth, causing your teeth to look longer or larger than usual. Not all gums swell with the disease. In fact, many people report that their gums actually pull back from the teeth, leaving the roots exposed and sensitive. • New spaces between teeth that used to be pushed together. When your gums are swelling or retracting, your teeth are also likely to move, a sign that is often more immediately noticeable than gum changes. • Pus-forming or oozing from between your teeth. Whether it is excessive bleeding or pus, liquids that come from your teeth and gums always indicate a problem. • Loose adult teeth. Your permanent teeth shouldn’t be loose. If you’re experiencing movement or wiggling teeth, you should visit the office right away. • A change in the fit of your teeth when you bite your jaw together. Even if your teeth only move a little, your bite may be affected, causing your teeth to fit together differently than in the past. • An ongoing bad taste in your mouth, even if you haven’t eaten. The layers of plaque and tartar on your teeth can cause a long-standing unpleasant taste in your mouth. • Constant sores in your mouth. Sores are another sign of infection, and being unable to get rid of them is a cause for concern. • Bad breath that just doesn’t seem to go away. This is also typically caused by the buildup of old plaque and tartar on your teeth and tongue. It’s always best to have any dental concern checked by a dentist. We would rather see one of our patients with perfectly healthy gums and reassure that person that everything is fine and worry-free than to discover periodontal gum disease after damage is already done. LUMINEERS can only be made from patented Cerinate porcelain unavailable anywhere other than the Cerinate Smile Design Studio. In just 2-3 visits to Dental Connection, you can have a custom-made smile that is clinically proven to last over 20 years – and it is completely reversible since your natural tooth structure is still intact! Custom Characterized dentures are ideal for you if you desire exclusive features and the best value. This option provides the ultimate way to create more natural-looking teeth.